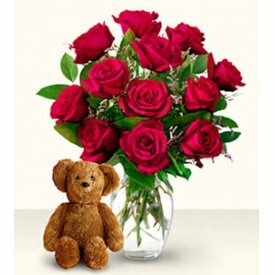 Share a beautiful bouquet of roses and a cute teddy bear with that special someone. 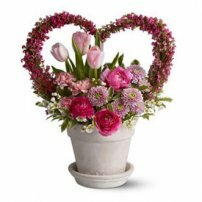 This combination would make for the perfect surprise! A bouquet of roses in a vase and teddy bear (optional). 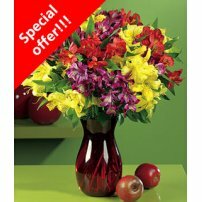 Approximately 14" W. x 15" H.
In this incredible offer, the color of the roses shown in the picture may vary.